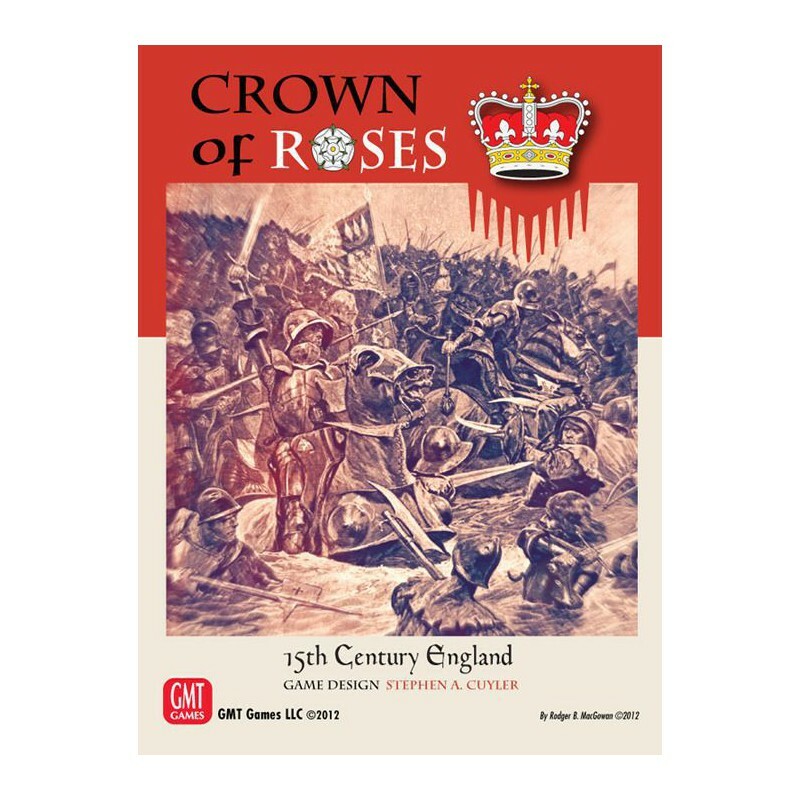 Crown of Roses is a game set during the turbulent years of the Wars of the Roses in 15th Century England. This 35-year long conflict saw the extinction of a large number of noble houses, and would eventually set the house of Tudor upon the throne. In Crown of Roses, players take on the roles of the dynastic giants - the House of Lancaster and their Beaufort cousins, and the House of York. The four player game adds in the powerful House of Stafford, and the ever-scheming Richard Neville and his son, Richard of Warwick, the 'Kingmaker'. Using intuitive mechanics, Crown of Roses offers players a historical feeling with tremendous strategic depth and excellent replayability. Unit starting locations vary with each turn and even with each game, and the use of blocks creates the "fog of war" of limited intelligence on enemy strength and deployment. Random game events throw a touch of the chaos of the era into the mix, and the multiple uses for the player action cards leads to a level of uncertainty where enemy plans are concerned. 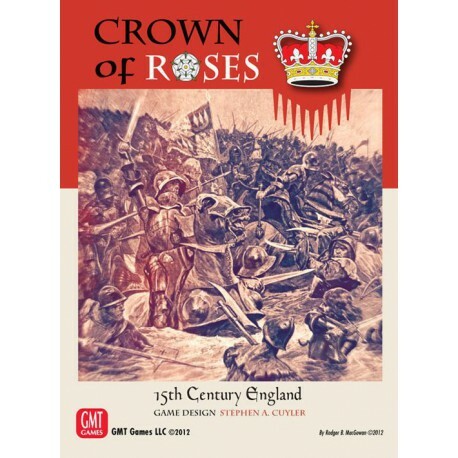 During each game turn in Crown of Roses, players will play cards to perform actions such as improving their armies, influencing the locals to support them, collecting supplies or prestige, moving to attack enemy forces, to recruit new houses to your cause, calling another Royal Heir into the fray, or even changing the nature of the conflict through the use of player events. Unit blocks rotate to show strength, and each army can have a variety of experience levels and combat capabilities. A novel roll to hit-based system is used to determine combat results, with better experienced forces scoring hits more often in battle. Kill all of the enemy heirs, and you can rule England unimpeded! In Parliament, players can try to gain a favorable posting or take control of the crown itself by gathering enough noble support. Gather enough votes for enough years and the nobles of parliament will welcome you as their sovereign! And if you can create enough influence with the local gentry, your economic might will sway the common folk to support you as their chosen monarch! And the four player game of Crown of Roses allows all of this and more without the sacrifice of the unique fog of war aspect that the unit blocks provide. With each player having up to three ways to win, who knows who will be the next King of England!"